Here at MAKESHOP, we make things up every day. Often, we create cool things without a lot of planning, and we limit ourselves to the resources around us (which is why we do so many projects with old fabric and toilet paper rolls). Doing things this way lets us try lots of different projects and learn what we’re good (and not so good) at quickly. One action word to describe making things up quickly is called improvisation. Imagine acting in a play in front of other people, but not knowing any lines, characters’ names, or where you were supposed to pretend to be. Some actors do this all the time with improvisational theatre, or improv for short. 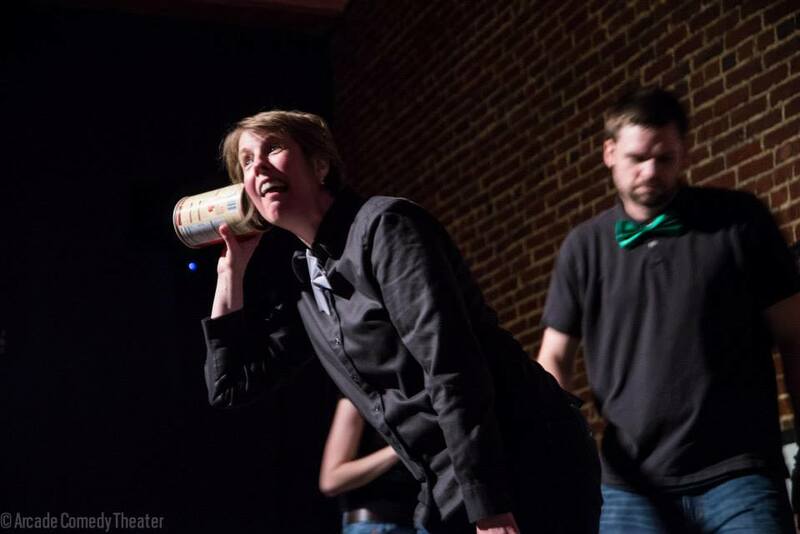 Improv actors don’t know what they’re about to do when they walk on stage, just like you might not know what to do if someone said, “make a monster in five minutes!” and then gave you two empty cans and a bunch of tape. Coming up with good ideas in a short amount of time can be hard! 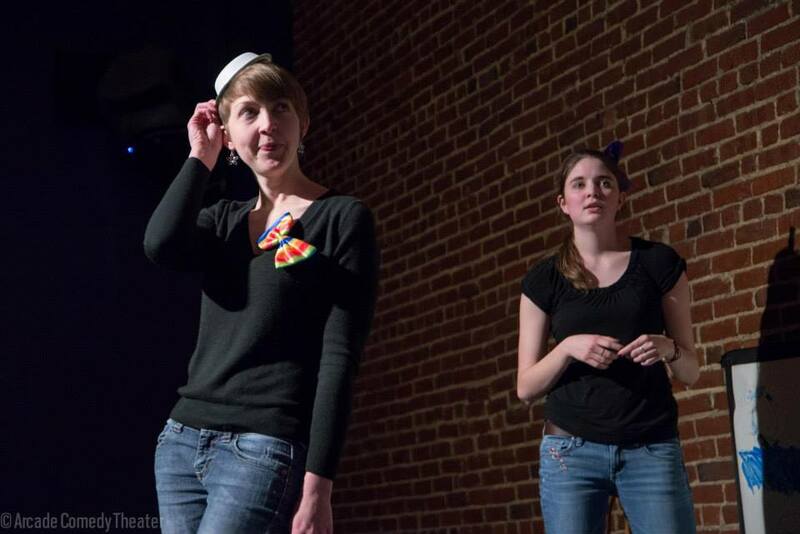 One improv theater in Pittsburgh is called Arcade Comedy Theater, which is located downtown (about a four-minute drive from Children’s Museum of Pittsburgh). 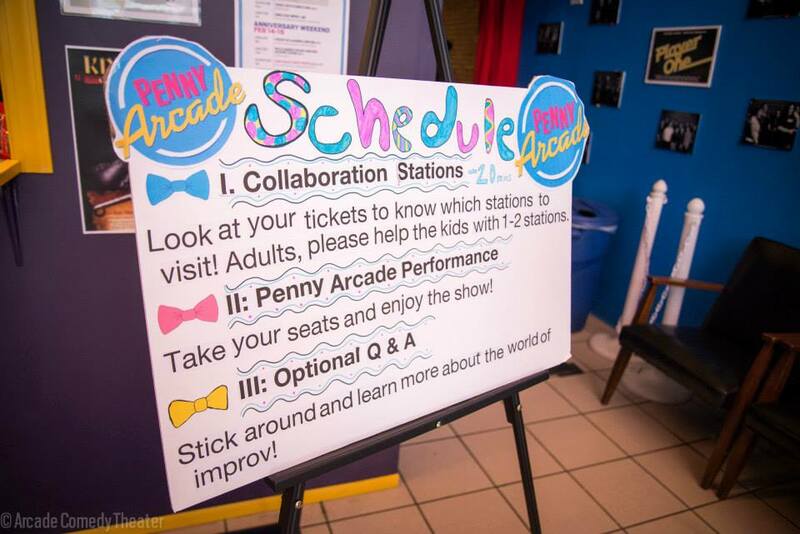 Once a month, the Arcade Comedy Theater puts on a show called Penny Arcade, an improv show for kids and adults. 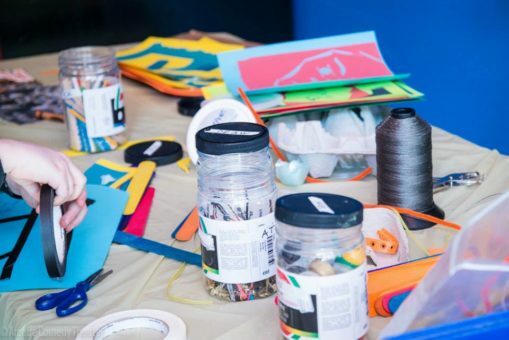 Kids who come to the show get a chance to help the imrov actors figure out what they’re going to do on stage by drawing, writing, and crafting before the show. 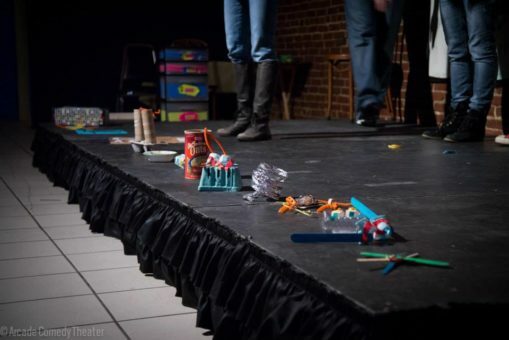 MAKESHOP came to the first Penny Arcade show on Saturday, February 22, to help with a collaboration station table where kids could use recycled sculpture to make props for the show. MAKESHOP brought egg cartons, old cardboard boxes, pipe cleaners, popsicle sticks, tape, and more, and audience members created all kinds of funny-looking things. Then, the improv actors had to pretend they knew what the props were supposed to be when they went on stage, which lead to lots of laughs. If you’d like to try your own improv exercise at home, you can use materials from around the house (or materials you get from MAKESHOP) to create a prop and then ask a friend to be an actor and pretend to know what your prop is or what it does without you giving them any hints. Then, they can make a prop for you and you can get a chance to do the same thing. The more crazy things you can put together, the funnier your prop swap will be! You can see a Penny Arcade show every second Saturday of the month at 1:00 pm. You can also create recycled sculptures at MAKESHOP most days of the week. 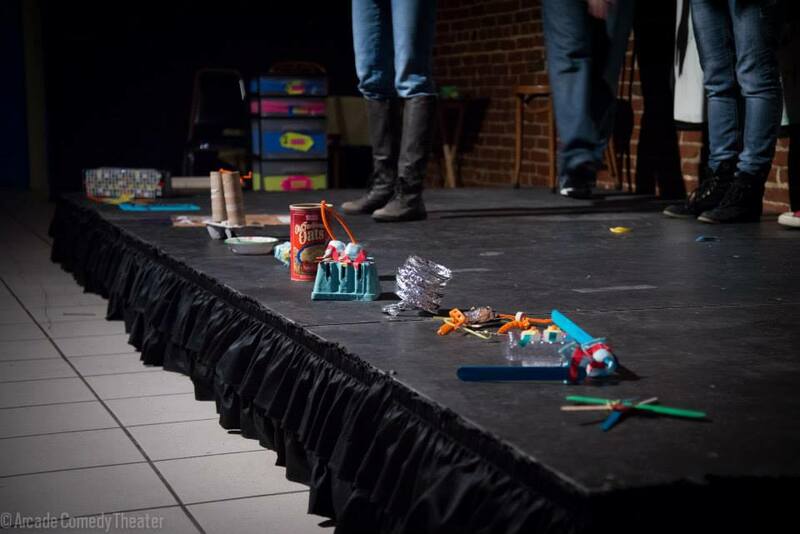 Stay tuned for more collaborations between the Children’s Museum and Arcade Comedy Theater in the future!